A glimpse at the interdisciplinary influences that inspired the new Glacé collection — piqued by the multidimensionality of clear quartz as a reflector and absorber of color, texture, and shadow. 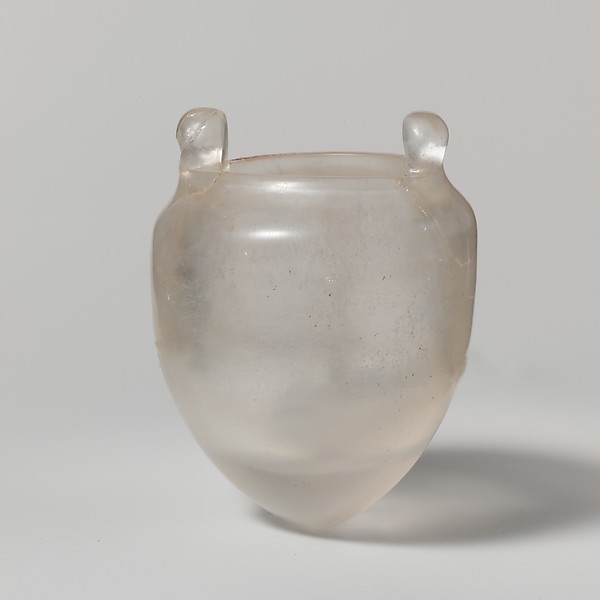 Rock-crystal ovoid vessel with wide mouth from the Late Classical period, 3rd century BC. Rock crystal, a precious stone in antiquity, was thought to be “a special form of real ice.” From the archives at the Metropolitan Museum of Art.